There is nothing more timeless than a piece of sleek, rich leather upholstery. 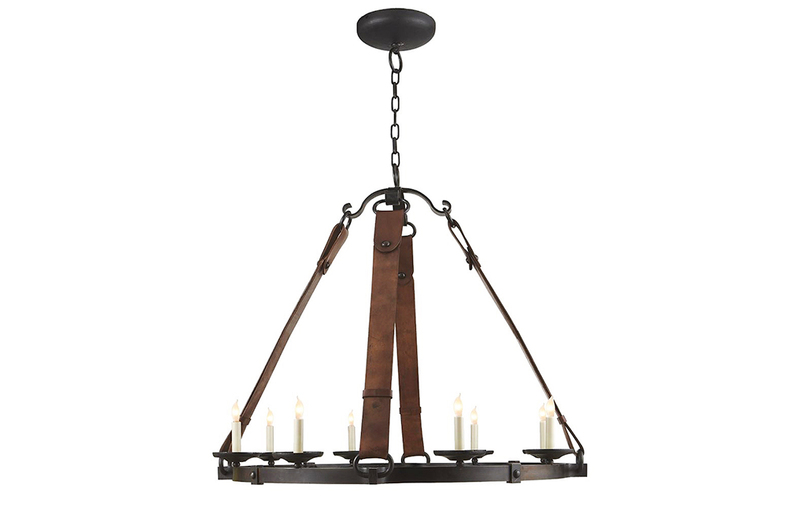 one: 8-light chandelier, Suzanne Kasler Dressage Collection, by Visual Comfort, available at Metro Lighting. two: City chair and ottoman, available at Dau Neu. 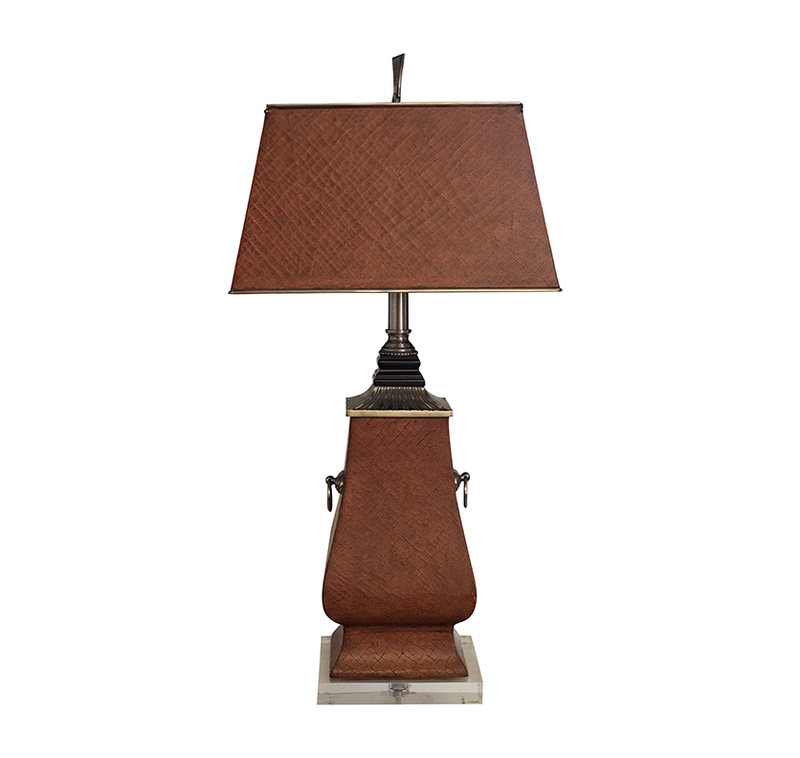 three: Leather covered lamp and shade, available at Leathers Interiors. 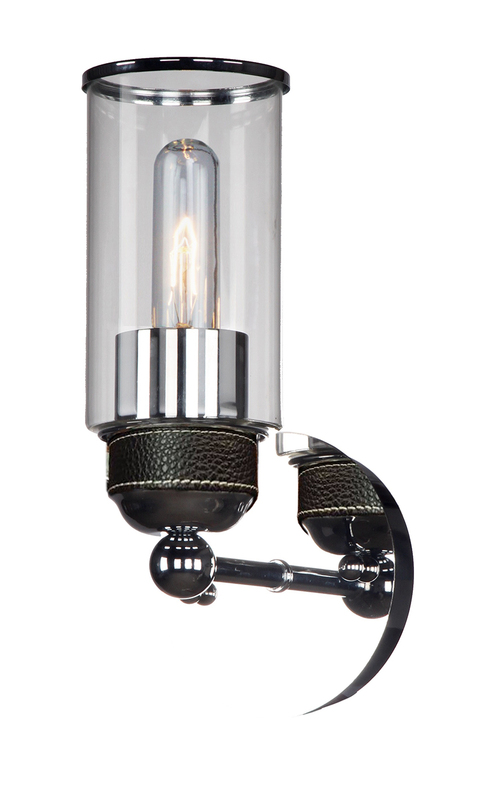 four: Westchester sconce, by ArtCraft Lighting, available at Holt Lighting Depot. 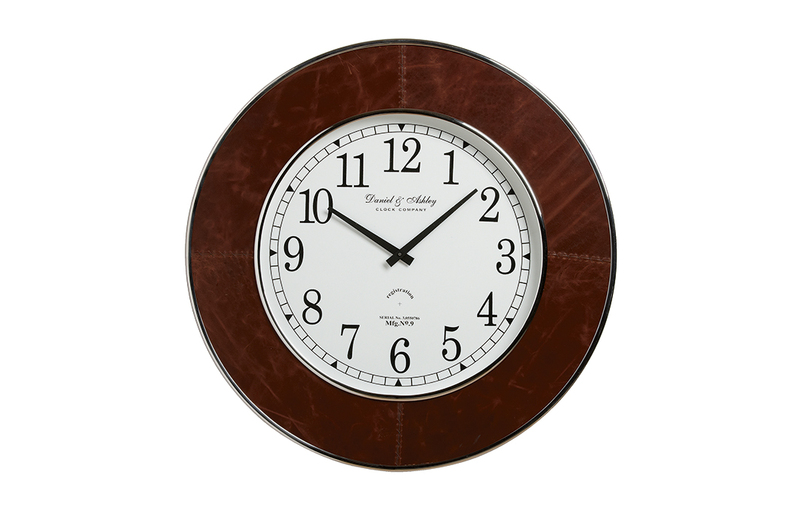 five: Leather wall clock, available at Ethan Allen. 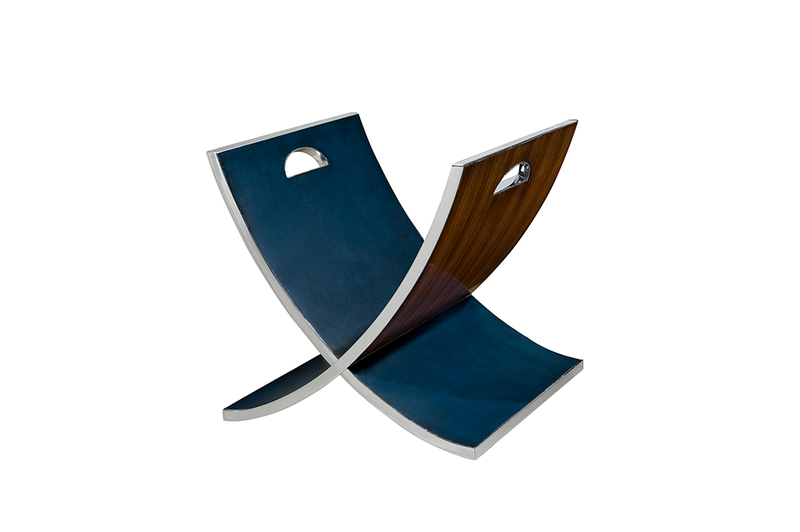 six: Crisscross magazine stand, by Theodore Alexander, available at KDR Designer Showrooms. 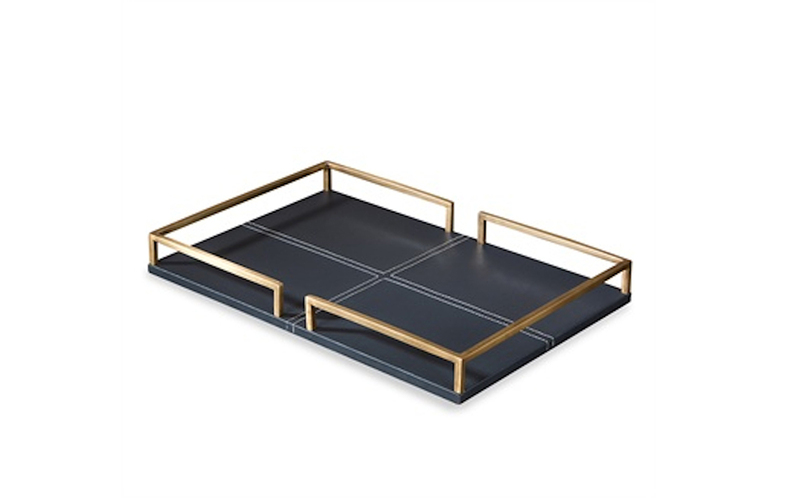 seven: Leather charcoal tray, available at Wilson Lighting. 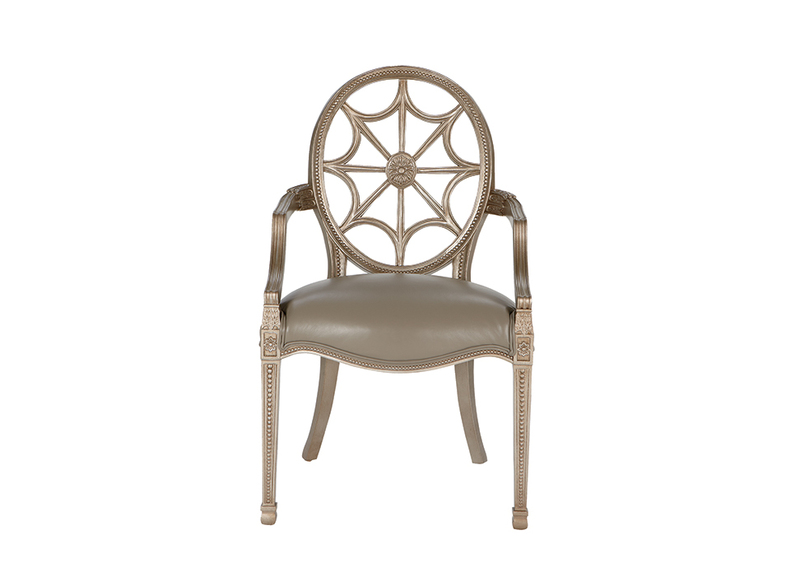 eight: Cristal leather chair, available at Ethan Allen. 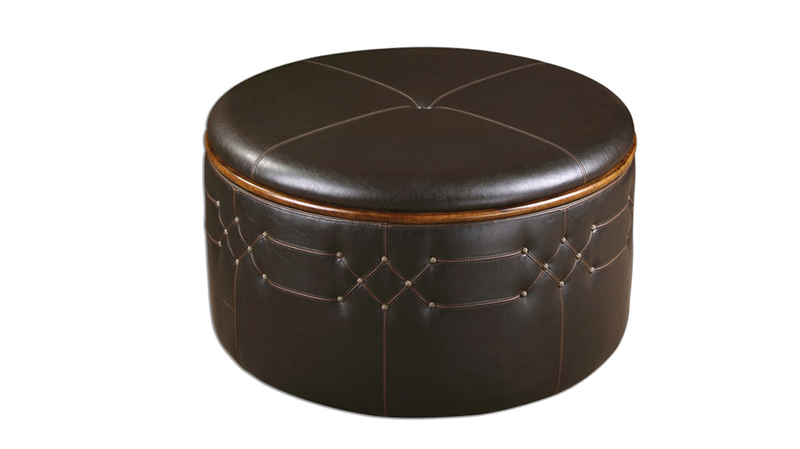 nine: Leather storage ottoman, available at Imogene’s. 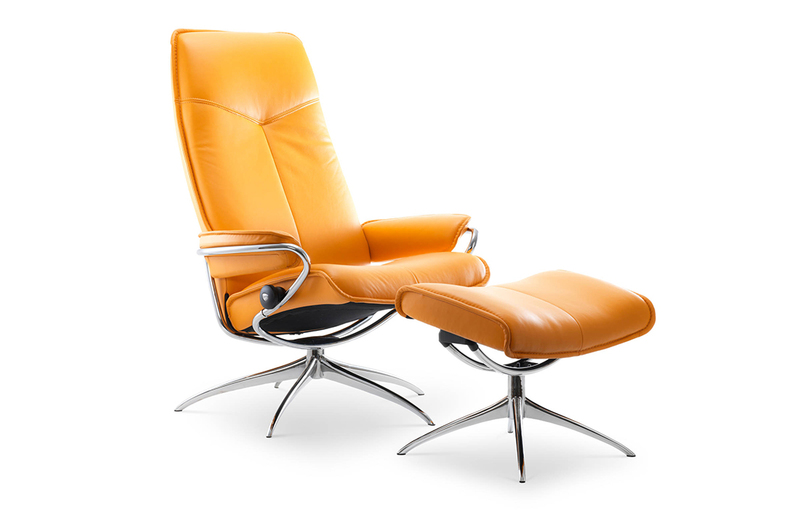 There is nothing more timeless than a piece of sleek, rich leather upholstery. A natural material, leather is not just being used in furniture and accessories. Lighting, flooring and even wallcoverings are now incorporating leather. A wise investment, leather becomes more supple with age, remains hardy against sun and heat and is easy to clean.